The cost effective M-SeriesTM compact magnetic resonance imaging (MRI) systems have been designed and manufactured with the pre-clinical researcher in mind. These high-performance MRI systems provide powerful results without the cost, complexity, and technical burden of other systems on the market today. The intuitive software interface, and optimized default sequences, allow the user to acquire high resolution anatomical, functional, and molecular images with no prior experience in MR imaging. While the flexibility and customization options within the software allow the experience MR physicist the ability to tailor the performance of the MR system to suit their needs. The self-shielded, permanent magnet design of the M-SeriesTM systems allow them to be installed typically in less than one day, with first images being acquired during the installation. The advanced design of the system requires no additional infrastructure allowing it to be installed within a core imaging lab, animal facility, or existing laboratory right next to other equipment or fixtures. The animal handling system again takes into account the pre-clinical researcher with easy to use fully integrated anaesthesia, heating, and physiological monitoring systems. This allows the user to quickly prepare the animal for imaging, and ensures the stability of the animal throughout the imaging session. The M-SeriesTM of systems includes both the M3 and M7 systems. The only difference between the two systems is the size of the bore which ultimately effects the overall size of the magnet. The bore, being the hole inside the magnet, determines the size of animal which may be imaged by the system. The M3, is a mouse-only system; while the M7 can image animals ranging in size from mice all the way to large rats. Hardware and software add-ons to the M-SeriesTM systems increase the functionality of the system allowing for simultaneous PET/MR imaging, fusion of the MR image with 3D tomographic BLI/FLI images acquired on a third party system, or very high resolution images on fixed samples for toxicology studies. MR contrast agents further enhance the capabilities of this imaging modality, providing invaluable insights into tissue/tumor perfusion, myocardial infarction size, as well as molecular targets. Both Gadolinium and Iron-Oxide based contrast agents can be used with the M-SeriesTM product line. These systems are ideally suited to acquire contrast agent images as it operates at 1 Tesla (T), having an increased sensitivity to the effects of Gadolinium over higher-field MR systems. SimPETTM is a silicon photo multiplier PET insert designed to integrate with the M7 (mouse and rat) system. It allows both the PET and MR images to be acquired simultaneously, providing powerful insights from both imaging modalities on the specific animal being imaged. The 3D anatomical information obtained from the MR image complements the highly sensitive PET image in detecting functional information or abnormalities and early disease, helping to localize them to a specific tissue. VivoFuseTM is a hardware and software add-on expanding the capabilities of the M-seriesTM systems (either the M3 or M7) to co-register 3D MR images with 3D optical tomographic images (bioluminescence or fluorescence lifetime images) acquired on a third party system. Combined the molecular/functional information obtained from the optical images can be localized to a specific tissue visible on the MR image. MR-based histology is a technique in which very high resolution images are acquired on a fixed ex vivo sample. These 3D whole organ images may be used for toxicology studies to help detect, localize, and quantify lesion number and size. The histology add-on from Aspect Imaging allows for automated high-throughput of a number of samples over a period of time, i.e. overnight. This allows the samples to be imaged without the need for the operator to be present to switch samples upon completion of the previous image. This option is available on both the M3 and the M7 systems. The M-seriesTM systems come with a standard 1 year warranty, which may be extended up to 5 year. Specific organ pathology, i.e. liver, kidney, spleen, etc. 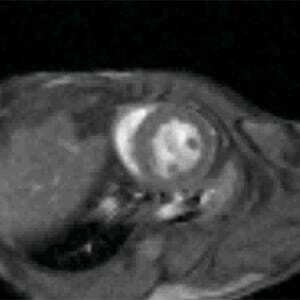 The versatility of MR imaging allows tumors to be detected, visualized, and quantified. 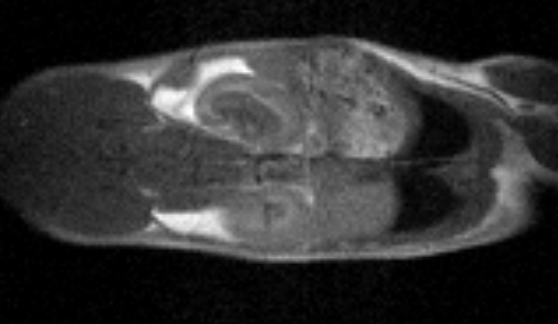 Tumor models may range from xenografts, orthotopic, or transgenic animal models; the unique characteristics of tumors provide a strong contrast from normal healthy tissue on specific MR images. 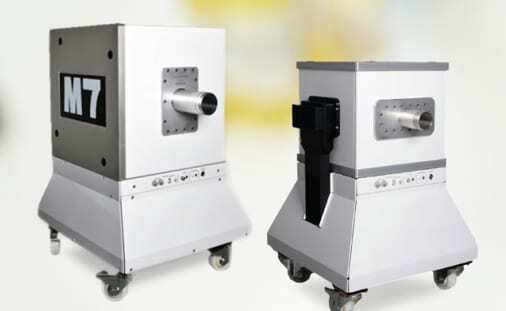 The M-seriesTM systems, operating at 1T, have been shown by some groups to provide enhanced tumor visualization compared to higher field systems. Contrast agents can be used to provide additional information on tumor perfusion and/or specific molecular targets within each animal model. Contrast agents may be used to assess myocardial perfusion, or for Delayed Contrast Enhancement imaging can be performed in which the core infarct and grey zone size is measured to define the area at risk. Multi-modal images combine MRIs strengths in soft tissue imaging with the additional information obtained with the added imaging modality. The 3D anatomical information obtained from the MR image complements the highly sensitive PET image in detecting functional information or abnormalities and early disease, helping to localize them to a specific tissue. Co-registered 3D MR images with 3D optical tomographic images (bioluminescence or fluorescence lifetime images) acquired on a third party system combine to allow the molecular/functional information obtained from the optical images to be localized to a specific tissue visible on the MR image. Pre-clinical ex vivo imaging focuses mostly on MR-based histology. This is a technique in which very high resolution images are acquired on a fixed ex vivo sample. These 3D whole organ images may be used for toxicology studies to help detect, localize, and quantify lesion number and size. 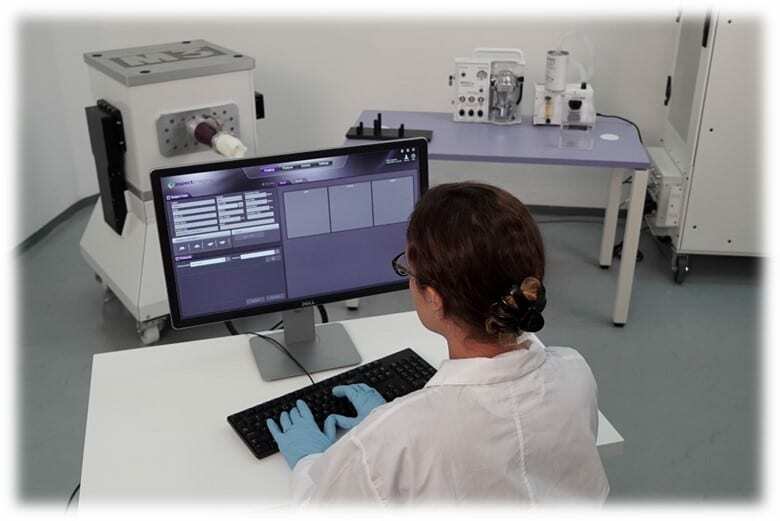 The histology add-on from Aspect Imaging allows for automated high-throughput of a number of samples over a period of time, without the need for operator intervention. The M-SeriesTM systems operate at a field strength of 1 Tesla (T), this makes them ideally suited for contrast imaging using Gadolinium (Gd) based agents. Numerous groups, including Dr. Silvio Aime’s group at the Molecular Imaging Center at the University of Torino in Italy, have shown the improved sensitivity to Gd contrast agents at 1T when compared to higher field systems. Additionally, iron oxide based contrast agents may also be used on the M-seriesTM systems. The M-SeriesTM systems come equipped with a variety of application specific animal handling beds for mice and rats. The handling system has been designed with animal safety and well-being in mind. They include fully integrated inhaled anesthesia delivery nose cones, along with active scavenging of anaesthesia from within the enclosed bore of the magnet. The animal bed is heated to maintain the core body temperature, and the fully integrated physiological monitoring system provides measures of respiration, ECG, and temperature throughout the imaging session. The monitored ECG and respiratory signals may be used for triggering when necessary for specific applications. For optimized image acquisition the appropriate bed and radio frequency (RF) coil should be selected to fit as tightly to the imaging target as possible. This will provide the best signal to noise ratio, helping to optimize the imaging results. All RF coils include motorized calibration mechanism to enable automatic coil-tuning, again to aid in high quality images. The 3D anatomical information obtained from the MR image compliments the highly sensitive PET image in detecting functional information or abnormalities and early disease, helping to localize them to a specific tissue. The M-seriesTM systems come equipped with the AMOS Spectrometer, designed and manufactured by Aspect Imaging. It is a highly modular and flexible unit that allows the knowledgeable user to customize the configuration of the system to suit their needs. The AMOS spectrometer utilizes state-of-the-art technologies to provide the highest performance available today. Optional gradient channels and imaging coils are available for advanced multi-nuclear imaging applications including 13C, 19F, and hyperpolarized 129XE. The M-SeriesTM compact MRI systems operate at 1 Tesla (T) giving them a key advantage over high-field superconducting MRI systems on the market, namely they have increased sensitivity to gadolinium-based contrast agents. Dr. Ananth Annapragada at Texas Childrens Hospital presented his work comparing data from Aspect Imaging’s 1 Tesla (T) systems to that of a competitor’s high field 9.4T systems at a recent Human Placenta Project meeting at the NIH. He showed the exquisite detail which was obtained on the M-SeriesTM systems. Explaining that for certain experiments higher field systems are not necessary.